FREE! Bring the family out for a night of jazz at the DeKalb Outdoor Theater. 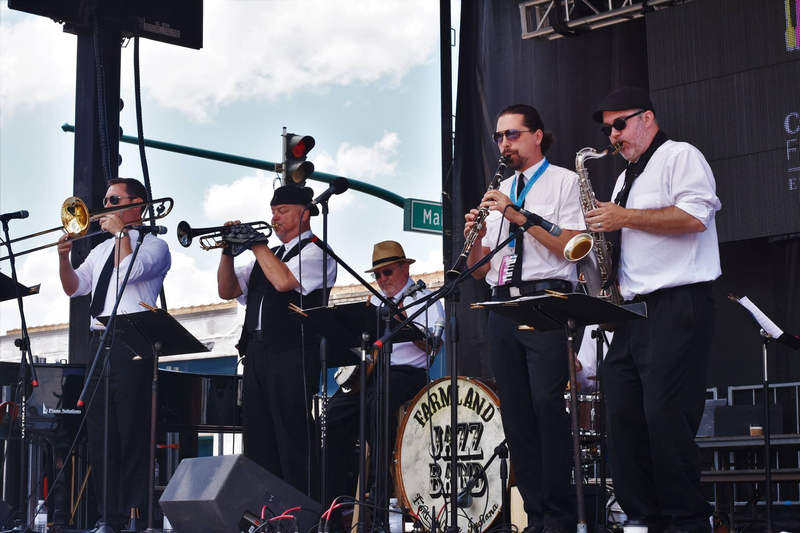 The Farmland Jazz Band enjoys performing in a manner reminiscent of the 1920s improvisational jazz style while choosing from a repertoire of well known pop, swing, traditional and original selections. Bring your own chairs. Handicapped accessible bathrooms on site.